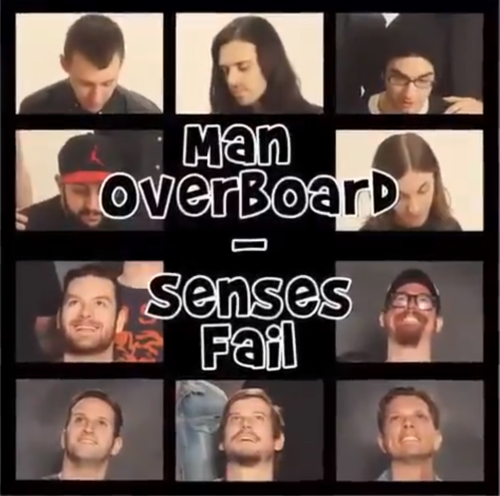 After announcing a 7″ split EP with Senses Fail – who released a song of their own called “All You Need Is Within You Already” – Man Overboard have also debuted their original contribution to the release. The split is slated for release on March 3 via Pure Noise Records. The track, titled “One Fixed Point,” is Man Overboard’s latest material since the release of their Passing Ends EP back in October. The band has stated that a new album will be out this year and that they’ll be touring extensively throughout 2015, specifically with Bayside on their upcoming 15th anniversary tour. Stream “One Fixed Point” below and be sure to pre-order the EP, which has different bundle options, here.